Hi Gabriele, I wanted to let you know that our trip to Italy was wonderful. The Hotel Villa Romana was very comfortable & everyone was very nice. 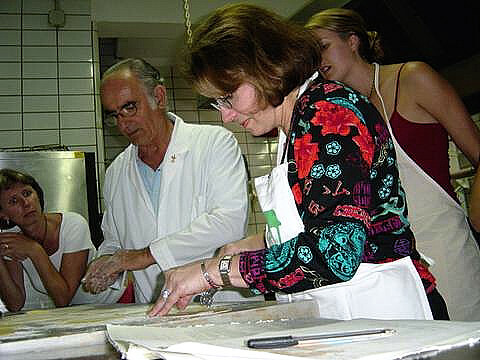 Linda & I enjoyed our cooking class with Giuliano & our translator, Paola, took us to the limoncello factory in Minori. This little quaint town had so many wonderful things to enjoy including a magnificent church. Thank you so much for setting up the class, it was great! €104, per person, minimum 2 participants.